I had to pick up Lucy from the cinema this evening so it was a great chance to take some night shots. 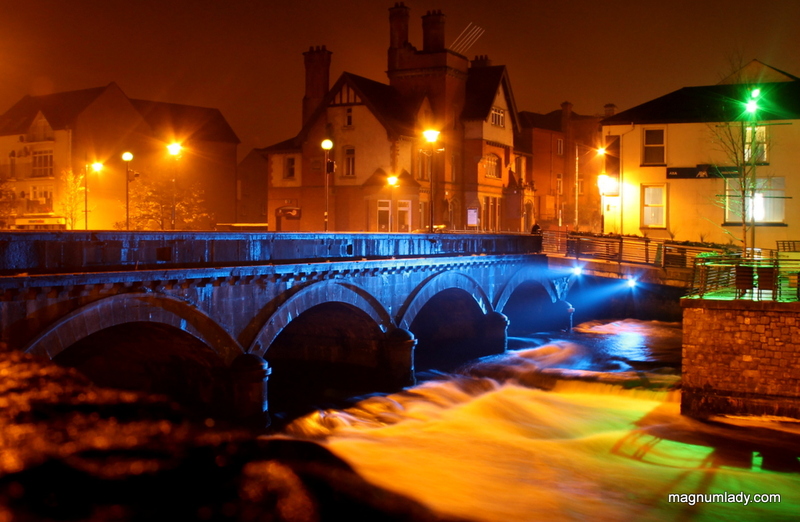 Hyde Bridge has been lit up blue for World Diabetes Day, I think it looks beautiful. I still have the 1100D from Canon and I couldn’t find the tripod (nothing new there), so I had to lean on a wall to keep steady and I used a slow shutter speed to get the water to look like that. Apart from that it’s straight out of the camera. I love night photos, just think there’s something very magical about them. 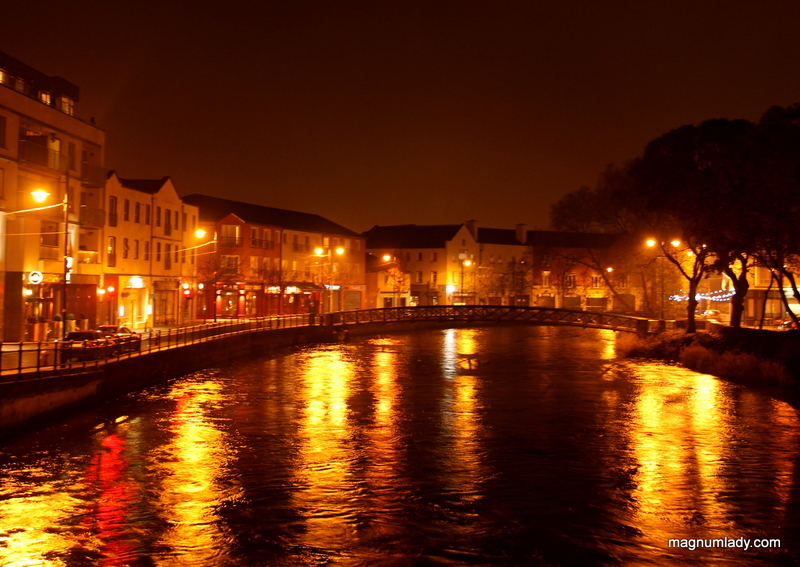 The river is the Garavogue that runs through Sligo, I heard it’s the shortest river in Ireland. I was hoping to get more cars going past the bank but it was a quiet night so there was only one car, hence the one light trail. 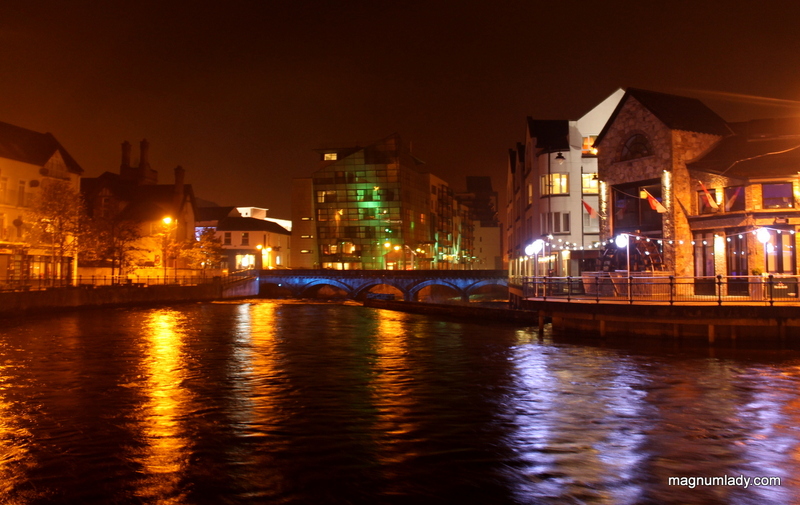 Sligo at night never looked so good. Thanks Val. You described Sligo at night perfectly, Val. Beautiful…and magical. Great photos. Thanks for sharing them. Great photos, Val. 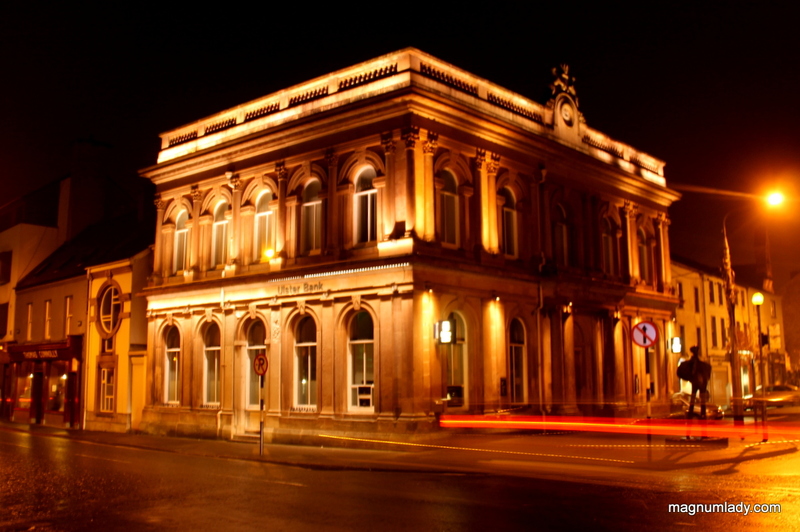 Sligo looks lovely all lit up! Thanks, it really does look lovely at night and as we aren’t getting Christmas lights this year we need these. They’ve come to some arrangement now so I think there may well be lights. I hope so anyway. Oh good! I can’t imagine Christmas without lights! More reasons to visit Sligo. Cool nighttime photos, Val. Love ’em!